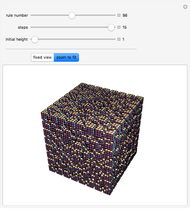 Totalistic 3D cellular automata starting from a single cube. 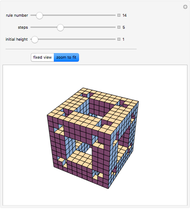 At each step, a cube is filled in if the total number of cubes around it matches values specified by the rule number. 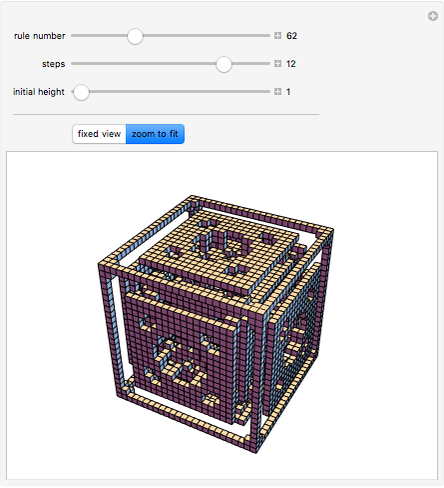 Stephen Wolfram "3D Totalistic Cellular Automata"